The SAVIO Compact Skimmer with Pre-Filter™ provides skimming action for ponds up to 300 sq. ft. 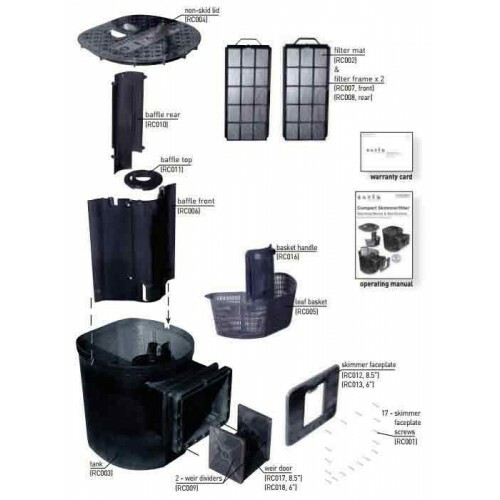 The Compact Skimmerfilter™ comes with two biological filtration pads and has the built-in capacity for one integral Ultraviolet Clarifier (UV). Proof that excellence does come in small sizes, the Savio Compact Skimmerfilter® is based on the best-selling Savio Compact Skimmer Filter. While blending with the surrounding landscape, the Compact Skimmerfilter® collects debris, helps clears water, and hides unsightly pumps. . 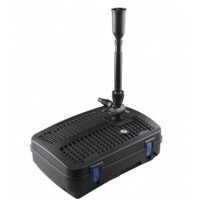 This mighty skimmer delivers dynamic multi-stage filtration for smaller ponds and water features, providing a Pre- filtration system for ponds up to 700 gallons, and a skimming solution for ponds up to 4,000 gallons. 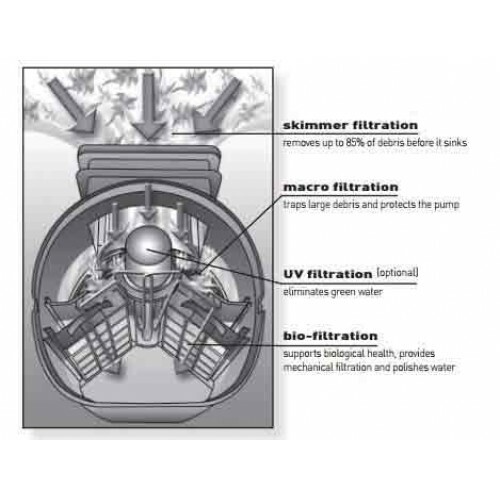 It combines four types of filtration for optimal water quality: skimming, mechanical and biological filtration. 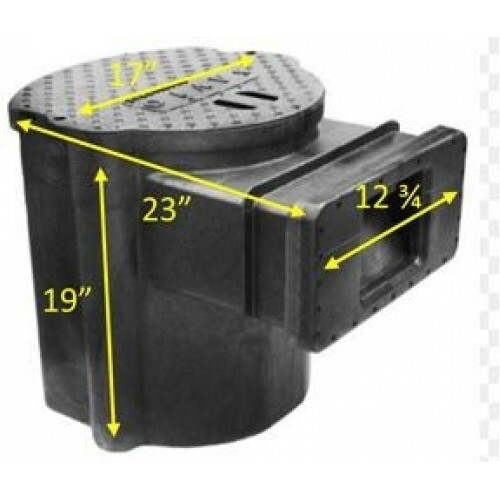 Although compact in size compared to the larger Skimmer Filter it still boasts the same durable, injection-molded housing that has won the acclaim of landscape professionals. On the box, it reads "No extra filter needed", this is not correct!!! This is an excellent PRE-FILTER, not a main biological filter! 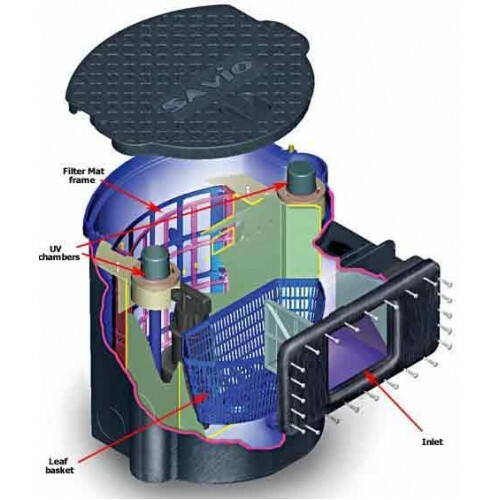 This all-in-one approach reduces plumbing and eliminates the need for extra equipment.For ponds greater than 1,500 gallons or with fish load, simply add one of the Savio advanced Living ponds biological filters. Skimming Action - Pulls debris from the surface of the water, capturing it in a rigid leaf basket with a handle for clean, no mess disposal. 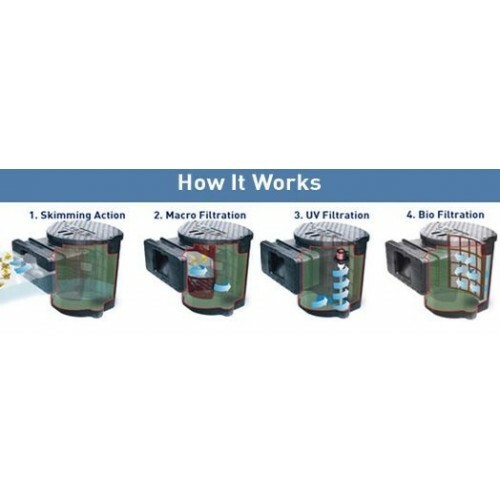 Biological Filtration - Two filter media cartridges provide a surface for beneficial bacteria to colonize the skimmerfilter, converting biological waste from fish, ammonia and other toxins to inert forms for healthier ponds. Mechanical Filtration - The skimmerfilter protects and extends the life of your pump, providing a place to conceal ugly equipment and plumbing. When used with a biological filtration system, the skimmer prefilters debris allowing your filter to work more efficiently. 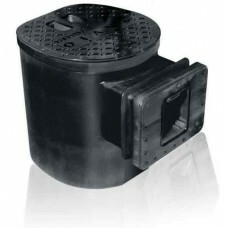 We do recommend a seperate Biological filter to handle larger fish debris. Max Surface Area of Pond - 300 sq. ft.
Dimensions (L x W x H) - 17 5/8" x 16 7/8" x 19 3/8"